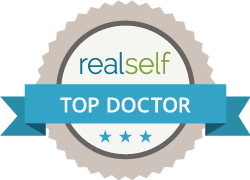 A dermatologist is a trained medical doctor who specializes in the health of your skin, hair and nails. These doctors can treat a wide range of skin problems and conditions, including acne, eczema, scarring, moles, warts, psoriasis and skin cancer. Some dermatologists specialize in cosmetic dermatology, a branch of dermatology that deals with correcting and improving skin flaws, such as sun damage, skin discoloration, wrinkles, sagging skin and scarring. Cosmetic dermatologists work with patients to improve their skin’s appearance, restoring it to a natural, more youthful state by utilizing a variety of cosmetic procedures, such as fillers, wrinkle relaxers, laser treatments and facial peels. Whenever you have a question or concern regarding the health of your skin, nails or hair, it’s important to schedule a visit to your Santa Barbara dermatologist. Unusual symptoms, such as a strange bump, excessive hair growth or hair loss, or brittle nails are all good reasons to pay a visit to your dermatologist in Santa Barbara, CA. Whether you’re worried about an abnormal mole, waging a war against breakouts or looking to erase fine lines, it may be time to visit your Santa Barbara, CA dermatologist. By partnering with a dermatologist, you can help keep your skin healthy for a lifetime. The specialists can also help educate you about your skin type and teach you how to best implement a daily skin care routine for optimal skin health. Contact Integrated Dermatology, your dermatologists in Santa Barbara at (805) 569-1164, for more information on the health of your skin and how you can continue to maintain healthy, youthful skin for a lifetime.